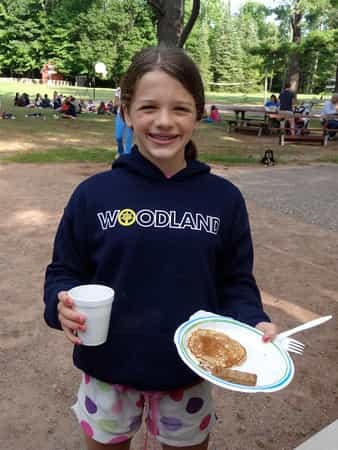 Camp Woodland | Dessert before Dinner?! Every Sunday, my husband and I treat ourselves to ice cream at our favorite spot in downtown Galveston. Especially during the winter months when store hours end at 6:00 pm, we often find ourselves eating ice cream before dinner. While there is no rule against having dessert before a meal, it is one of those things that has been engrained in me and I always end up feeling a little weird – like I am doing something I shouldn’t. It reminds me of the rare occasions when my Mom would serve pancakes for dinner instead of at the usual breakfast meal. 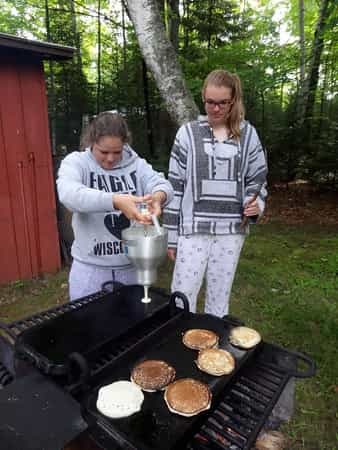 While we don’t have dessert before dinner at camp in the literal sense, we do like to “shake it up a little” this time of the summer to keep things fresh and exciting for the campers. 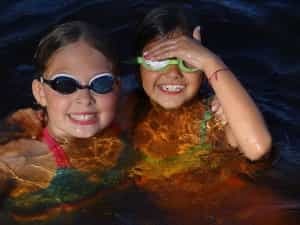 While establishing routines is very important during the first few weeks of the camp season, once campers are comfortable with the predictiveness of each day and week, it is good to deviate from the schedule from time to time and provide variety. So, how do we change it up for campers and staff?! I’m glad you asked! It started last week during the 4th week of camp when we had the counselors rotate tables during the lunch meal. 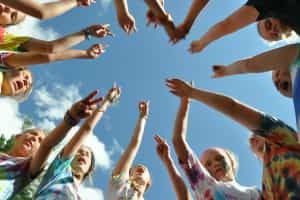 This offered counselors an appreciation for different group dynamics from their own cabin and an opportunity to spend time with campers of varying ages in order to get acquainted a little better. Because we are a small camp community, we pride ourselves on knowing more than just a name for each camper! Another example of changing up the routine is our annual Olympic Games. This week on Tuesday night, the camp was divided into 2 teams and then sent to work together to determine a team name, colors, mascot, flag, and cheer. Team captains (counselors) signed campers up in various categories for the all-day competition in both team and individual events on Wednesday. 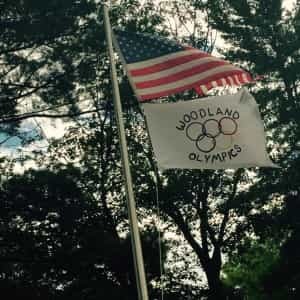 Teams sat together in the dining hall for meals and each camper was well cheered at every moment as sportsmanship is a key component and message of the Woodland Olympics. A favorite all-camp activity that is typically a fun part of the last week of the summer is Spoon Assassins. While the name sounds horrible and totally against camp philosophy, it is a basically a giant game of tag with some cool twists (a big thank you to Alice Lurain for being the original creator of this popular game well over 20 years ago!). Campers are assigned someone to “kill” (with a spoon). In order to avoid being “killed” you can link arms with another person. Of course, there are some “safe” zones such as the Lodge during meals, inside the cabin, and during activities. If someone is found without a buddy and gets “assassinated”, then they “die” and must give the name of the person they were trying to take out to the person who was their “killer”. You can bet that while we all thrive in our routines of the typical camp day, having “dessert before dinner” and adding a taste of spice to the norm will for make for some memorable moments for the summer of 2015!